Laura Vigness-Evjen said Hopelink helped her and her children avoid homelessness. The nonprofit is one of 12 organizations making a difference with The Seattle Times Fund For The Needy. 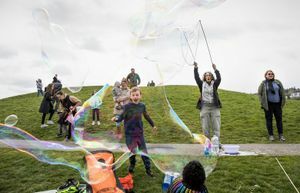 On a stormy, windy day in November, Laura Vigness-Evjen, 36, watches as her three kids, all under 7, play with Magic Sand and Play-Doh in her compact, two-level town house in Bellevue. Tinkerbell, a 10-year-old Chihuahua and toy poodle mix, looks for an open lap to snuggle on. That the family is able to live in this home is made possible in part by Hopelink, the nonprofit that helped get Vigness-Evjen into the townhome in March. Vigness-Evjen was in the middle of a contentious divorce in 2014 when she first learned of Hopelink, a Fund For The Needy recipient, through her therapist. The nonprofit agency has centers in Bellevue, Kirkland, Redmond, Shoreline and Carnation and offers limited services in Duvall. Those in need can find help with housing and food, or energy assistance, or take advantage of adult education and financial-planning programs. A community-action agency that aims to end poverty, Hopelink provides food, transportation, housing and energy assistance, and offers adult education and family development assistance. 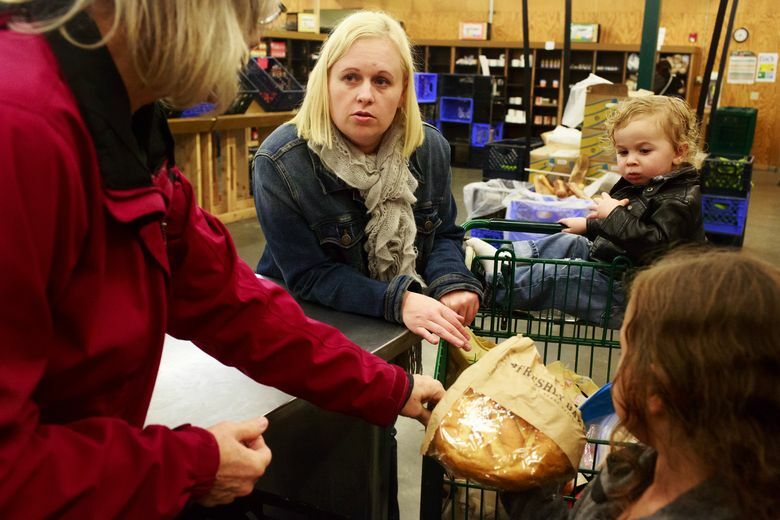 From the outside, Vigness-Evjen seems like just an upbeat, friendly Bellevue single mom. But her cheerful exterior masks a resilient resolve. Each year, The Seattle Times Fund For The Needy raises money for a group of charities that help children, families and senior citizens. Throughout the fall and winter, The Times is telling how the 12 organizations make a difference in the lives of thousands, and the impact donors can make. Click here to donate to Fund For The Needy. “I’m very determined. When I need to get it done, I get it done,” she said. 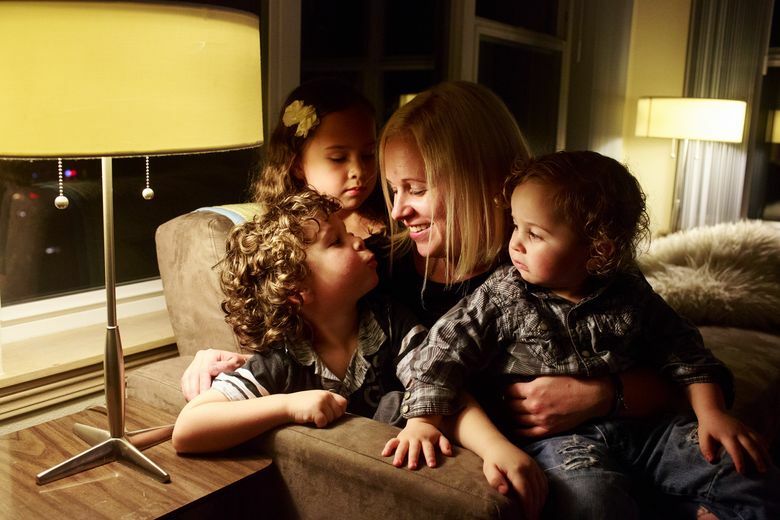 Since 2007, when she and her ex-husband relocated to Seattle from South St. Paul, Minn., her career has taken a back seat to raising her three children. The shrinking availability of jobs in her field coupled with the Great Recession didn’t help matters, either. She’s also had to battle various health issues — both physical and mental (she suffered from a bout of postpartum depression and anxiety after her first child). She’s currently on disability and goes to physical therapy once a week. When she first started working with Hopelink in 2014, the agency helped her avoid being evicted from her $1,700 three-bedroom apartment. After applying to more than 20 different apartments, she found a “tax credit” property that is much more affordable. “We were focusing on how much she was paying on rent, and how we could reduce the cost of her rent,” said her case manager, Brittany Holmes. 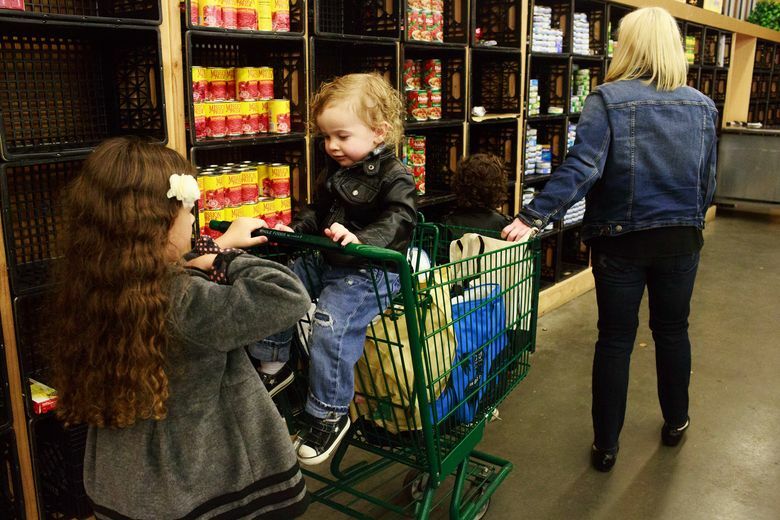 After playtime ends, the family goes to its biweekly appointment at Hopelink’s Bellevue food bank, about 15 minutes away. There, they pick up an array of groceries for the next week: tuna, day-old bread, canned beans, peanut butter and a bag of apples. “I haven’t gone to the grocery store to go shopping for over two years,” she said. $25: A month of fresh fruits and vegetables for 10 seniors and people with disabilities. $50: A two-day emergency supply of food for five people who are homeless. $100: Employment assistance for help getting a steady job. She cobbles her income from spousal maintenance, child support and Social Security. It’s barely enough to cover rent and bills, including her car payment, insurance and gas. Still making up for late and missed payments, she doesn’t have any retirement or savings, and she owes thousands of dollars in lawyer’s fees and medical bills. Now that her housing situation has been sorted, her next goal is to find a way to grow her businesses. She sells smooth, gray rocks stamped with inspirational words: “believe,” “dream,” “cherish,” “hope,” “love,” “family” and “shelter” — which ring particularly close to home. They are sold in Pike Place Market and a store in Issaquah. Right now, it’s extra income, but in a year, her spousal maintenance support ends. Through Hopelink, she took an eight-week business course and hopes to apply those skills to the rock sales and restart her other business, upcycling used clothes imprinted with her own graphic designs.